Sunny Australia isn’t a country that is typically associated with the ravages of Seasonal Affective Disorder. This seasonal ailment is the result of decreased amounts of natural sunlight that one receives during the chilly winter weather, both as a result of spending more time indoors, and the shorter days. Your body uses exposure to natural sunlight as a method of creating a number of important substances, including vitamin D, which has been proven to serve as a mood lifter. Exposure to natural sunlight releases endorphins, which can encourage positive sensations. That is the reason why SAD can take hold of us in the cooler weather. It is important to remember to get ample sunshine during these months. 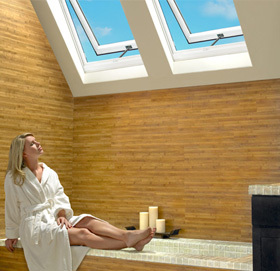 A Velux Skylight or Roof Window from Diamond Skylights can take care of this potential problem, quickly and easily. You can enjoy the daytime sunshine within the comforts and warmth of your own home, achieving the allotted amount of necessary daily sunlight you need, without making a special effort. With a quality roof window, you Melbourne home can by lit up throughout the cooler months, keeping you fit and healthy. And during the heat of the summer when you might prefer more shade, they can easily be covered with manual or automatic blinds. Our Velux skylights can be expertly installed on your home by our technicians, offering you the chance to make use of the sun’s bounty whenever you might need it. Contact us today to find out more!